The question, forwarded as an alternative narrative of history by some claiming to be historians and the subject of various court cases, reached the CIC through a Right To Information (RTI) plea and is now at the culture ministry's door. 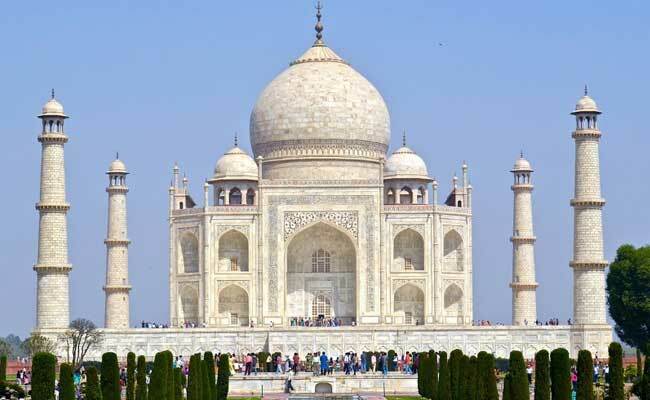 New Delhi: The Central Information Commission (CIC) has directed the Union culture ministry to clarify its stand on whether the Taj Mahal is a mausoleum built by Shahjahan or a Shiva temple gifted to the Mughal emperor by a Rajput king. Mr Acharyulu recommended that the ministry give information on its stand on the cases related to the provenance of the Taj Mahal, and on the frequent claims based on historian PN Oak and advocate Yogesh Saxena's writings. Mr Acharyulu said the Archaeological Survey of India (ASI), being a party in some cases, must be holding the counters (affidavits) filed on its behalf and by the culture ministry. The CIC was pulled into the debate after an applicant, BKSR Ayyangar, approached the ASI through an RTI application asking whether the monument in Agra was the Taj Mahal or "Tejo Mahalaya". Among other records, Mr Ayyangar also demanded "construction details" of the 17th century monument, including its rooms, hidden rooms and the rooms closed to him citing security reasons. Mr Acharyulu noted what he expected from his RTI application was research and investigation into the history of the Taj Mahal, which is beyond the purview of the RTI Act and ASI. Mr Acharyulu cited a petition, seeking removal of ASI notices that the Taj Mahal was a Mughal structure, filed before the Allahabad High Court.